High Playload capacity of 2.5kg and able to fly at high altitudes. Anti-jamming module is mounted to block jamming signals. It is equipped with powerful gimbal camera for surveillance and reconnaissance. It is equipped with the anti-jamming modules are possible corresponding to the jamming signal. 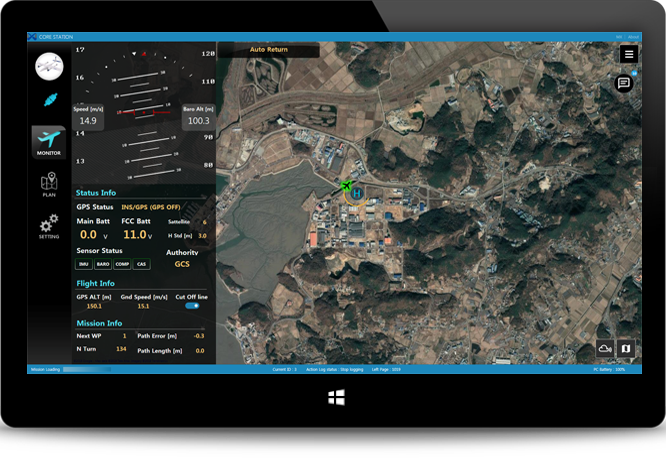 Ready-to-Use Ground Control System for your UAV. for your UAV. It provides a simple and straight forward usage for beginners, and still delivers high end feature support for experienced users. surveillance and block jamming signals.